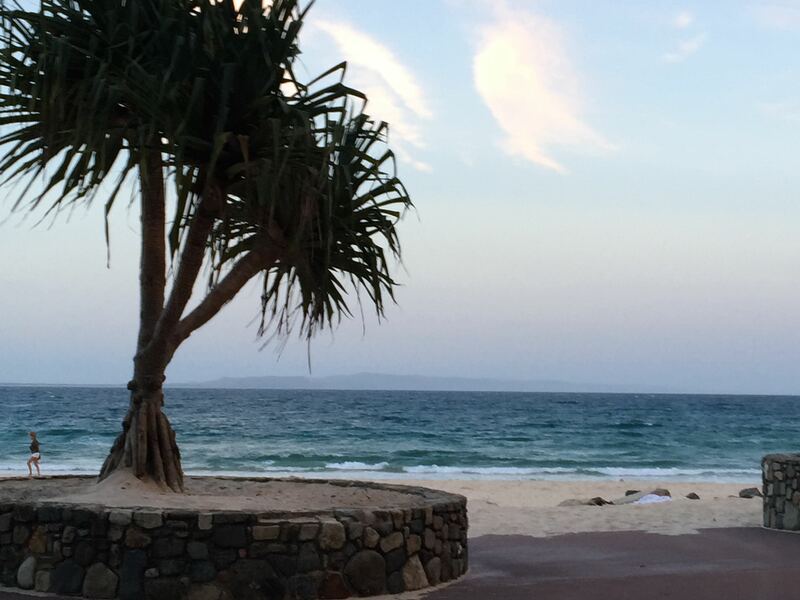 Tropical days and balmy nights make Noosa and nearby Sunshine Beach on the Sunshine Coast in QLD a fabulous destination for weary Sydney-siders as well as holiday makers from all parts of the globe. The weather, some great restaurants and cafes and lovely local produce, plus beaches and beautiful scenery create a perfect holiday atmosphere. 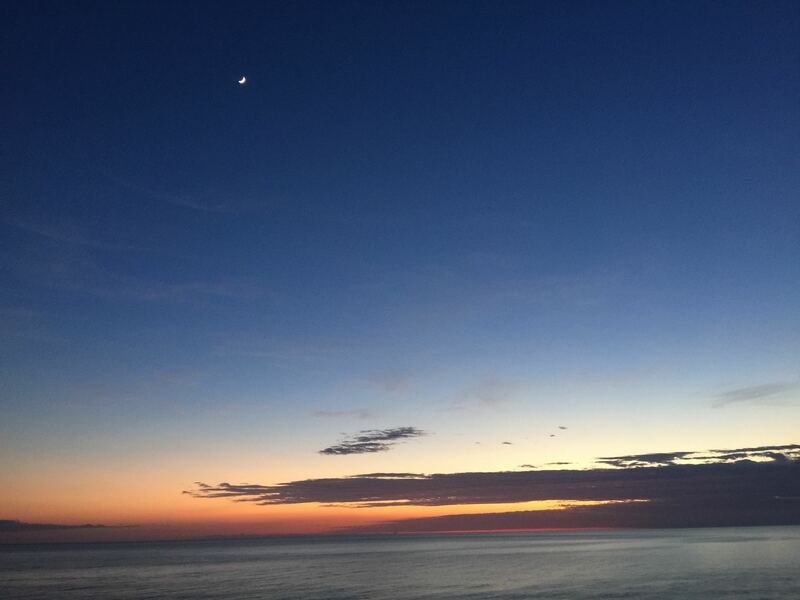 I have just returned from a few days R and R. The weather is warm all year round, and in December, really hot, but you need to like humidity – however relief is always around at the beach or in the pool. 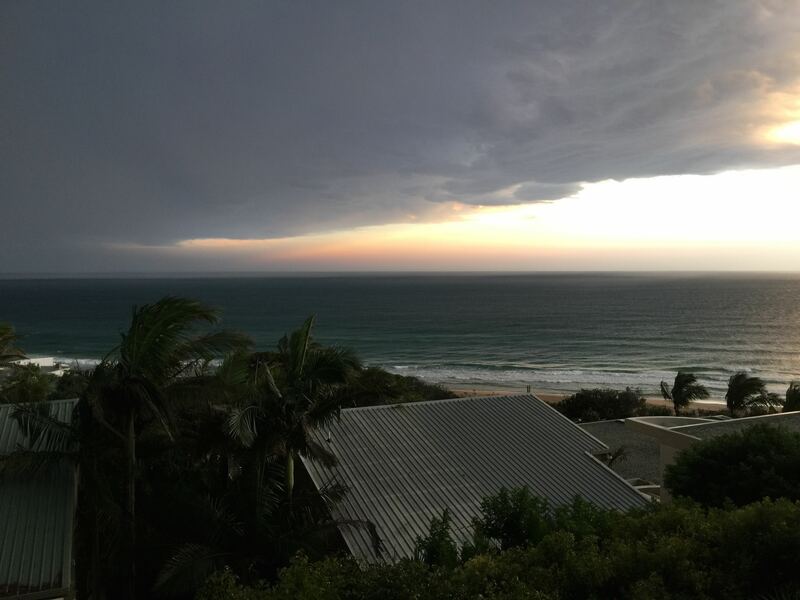 We stayed at Sunshine Beach, in an apartment overlooking the beach. This the view just before a late afternoon tropical storm and below that, the dawn of another hot day. 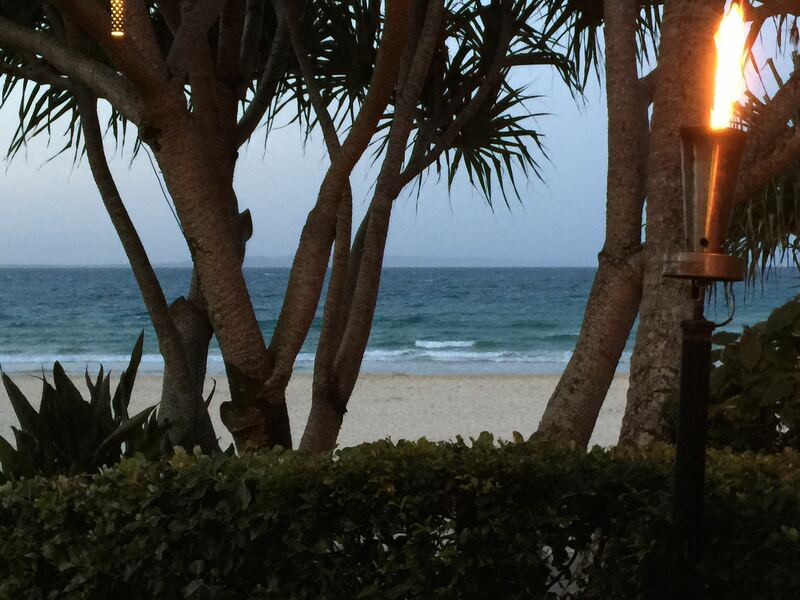 If you want more info on the destination, for Noosa click here, and for Sunshine Beach click here. 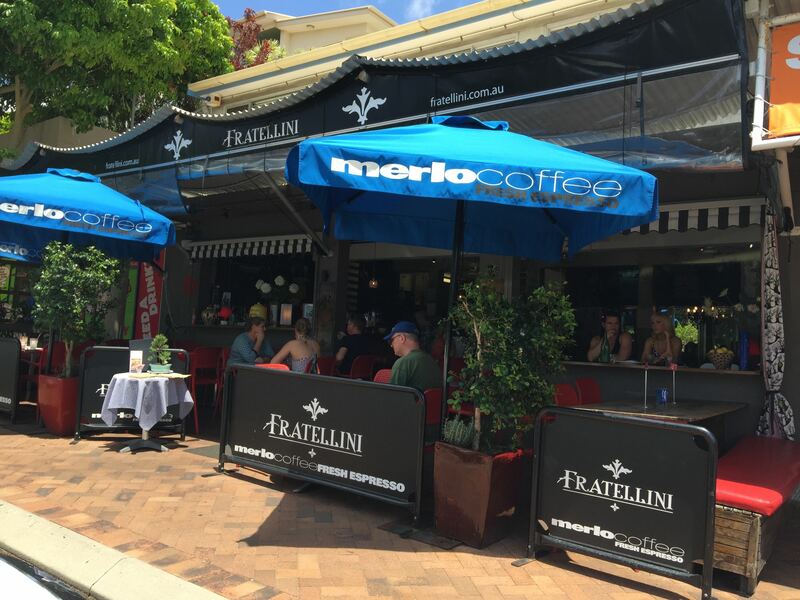 Here are a couple of restaurants I really like – Fratellini Italian Ristorante in Sunshine Beach and Sails in Noosa. Fratelllini’s is a funky part cafe /part restaurant in the heart of the village in Duke Street. Shady trees and lush vegetation cascade down the street. The vibe in Fratellini’s is casual with the emphasis on great pizzas and pasta. They’re open all day too. 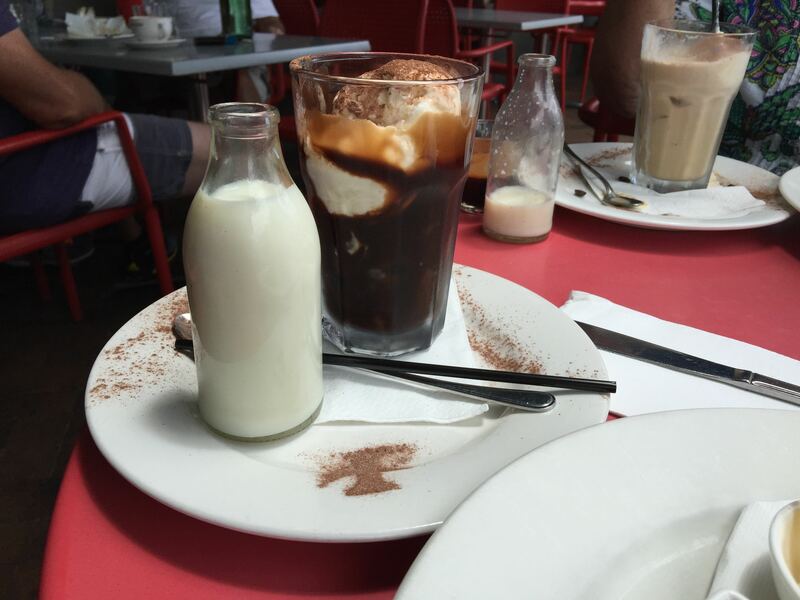 My favourite was the iced chocolate served with an individual milk bottle on the side. 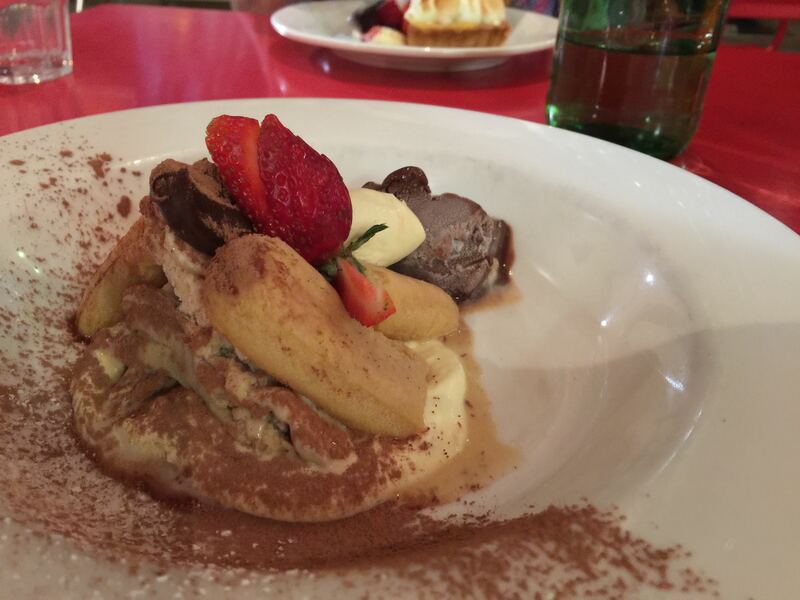 I had a lovely dessert one night – a deconstructed tiramisu with a frozen chocolate sorbet and drowned in booze! Sails is on the famous Hastings St in Noosa. There are heaps of restaurants and cafes here. 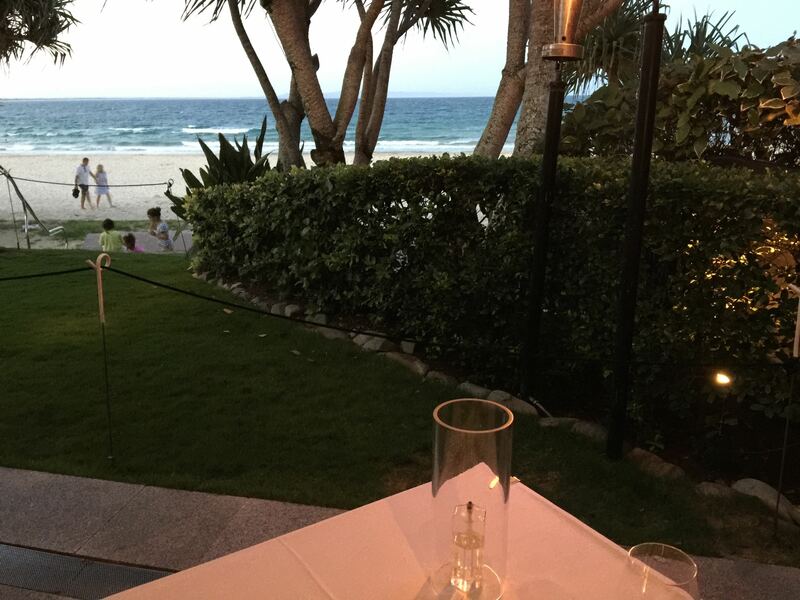 Sails is well known and well reviewed for its fine food and also for its fabulous location right on the beach front. I had some lovely dishes – unfortunately I didn’t photograph them… it wasn’t the kind of restaurant where one does that kind of thing. I was, however, able to grab a few shots of the amazing beach front. Seafood as one would expect figures largely on the menu. 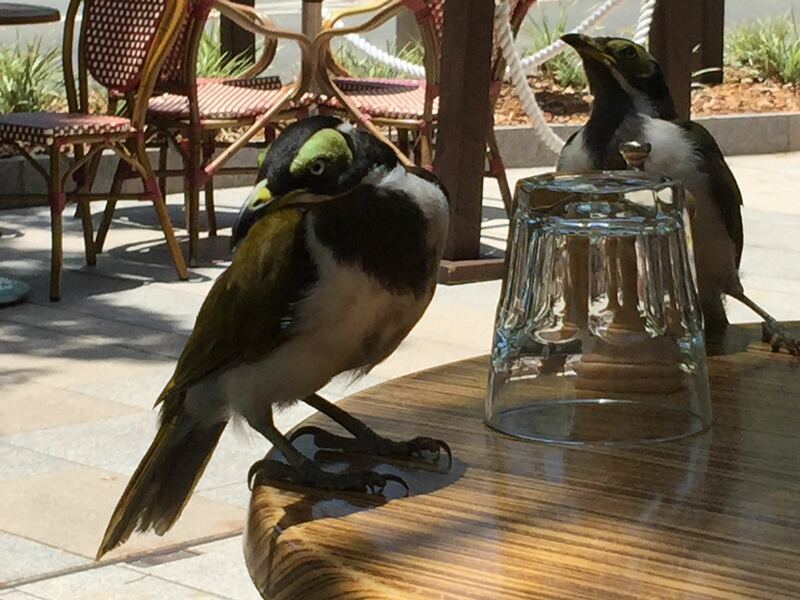 And lastly a candid shot of some “locals” enjoying cafe life on Hastings St.
Posted in Reviews and tagged holidays, Noosa, QLD, Sunshine Beach. Bookmark the permalink.